Sparrow’s 1969 calypso hit Sa Sa Yea gets Island House restyle in time for the Carnival season. 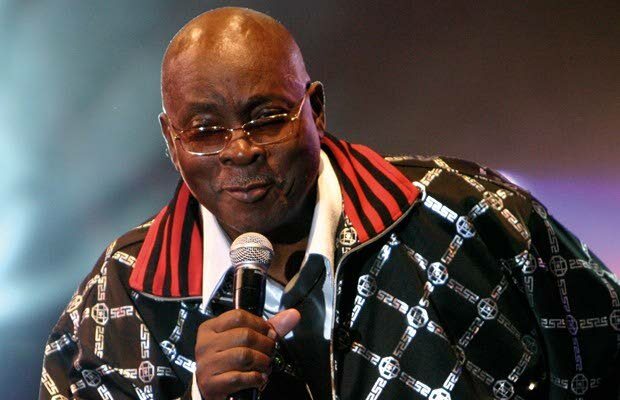 In a tribute to Sparrow some musical professionals and enthusiasts from Trinidad, Dominica, St Vincent, St Lucia, Barbados and North-America have produced an updated 2019 version of the calypsonian’s 1969 hit Sa Sa Yea. Titled iDRUM Sa Sa Yea (2019 version), it was conceptualised by Dominican-born, Toronto-based international artist Davidson Elie, known by the industry names dConcept and iDrum (an art performance concept), said a media release. Elie blends the talents of drummers, DJs, instrumentalists, dancers and vocalists and fuses live and recorded original house music with Afro Caribbean and world elements. This version of Sa Sa Yea connects the elements of pre-1980’s calypso, modern soca and original house music, with live vocals, authentic creole language components, Afro-Caribbean percussion, saxophone and pan, said a media release. For this track, Elie partnered with house DJ/ producer Gene King of Shines Recordings. King was able to create an interesting palate of musical flavours, the release said. Alongside Elie and King, a team of diligent creatives came together and pooled individual skills and resources to deliver this contemporary reboot and tribute to the “Birdie”. The creative team behind iDrum Sa Sa Yea also include Susan Grogan, main vocals; Damian Sogren, male vocals/co-writer; Anderson Phillips, pan; Paul Knight, saxophone; Tej Hunjan, studio recording/engineering; with co-Production by Ronny Charlemagne, Royalty De Goddess and Keith Pascall. Elie’s roles included conceptualisation, co-production, co-writer, percussion while King handled production, arrangement and mastering. This Island House restyle of Sparrow’s classic Sa Sa Yea has thus far received positive feedback from music fans and industry insiders as it highlights both cultural and modern influences and links the worlds of Afro-Caribbean, world percussion/instrumentation and deep house/electronic music, the release said. The team members recognise the socio-political relevance of the music by veteran artistes like Sparrow and his contemporaries and respect the diversity of rhythms used by current hit-makers such as TT’s Machel Montano and Bunji Garlin and St Vincent’s Dynamite, the release said. Reply to "Sparrow’s Sa Sa Yea gets 2019 update"